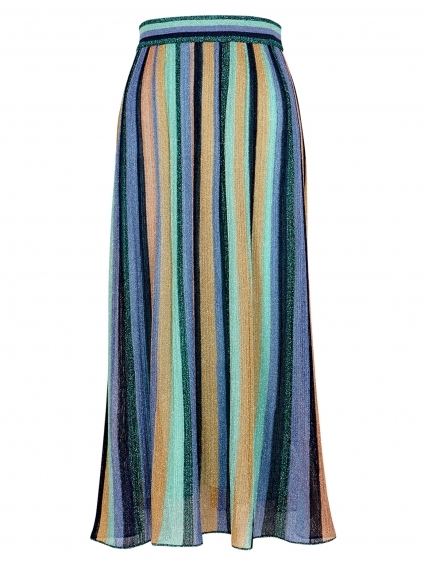 Despite being a knitted construction, this metallic stripe midi skirt from M Missoni feels as light as air. 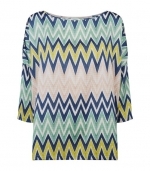 The beautiful fine-knit features a metallic weave throughout, making it a versatile option for both night and day. 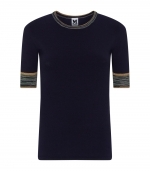 Fully lined with a comfortable elasticated waist, simply team with their navy blue t-shirt from the same range.